Philsouth Builders is this year’s Land Bank of the Philippines’ Outstanding Medium-Sized Corporation Awardee. Philsouth Builders won first place in the recent 2018 Gawad Kaagapay (Gawad Korporasyon KAagapay sa Ating GAnap na tagumPAY) for non-agri based category, bestowed by Land Bank of the Philippines, on the occasion of its 55th anniversary last August 8, 2018 at the Philippine International Convention Center, Pasay City. Accepting the award for Philsouth were Mr Louie M. Tijing, Proprietor and General Manager and Ms. Sabrina Maryam U. Tijing, Finance and Administration Head. Left to right- Jesus V. Hinlo, Jr., LBP Board of Director Private Sector Representative, Virgilio DV Robles, LBP Board of Director Agrarian Reform Beneficiaries Representative, Benjie S. Oliva OIC Chairman, Cooperative Development Authority, Alex V. Buenaventura, LBP President and CEO, Sabrina Maryam U. Tijing, Louie M. Tijing, Congressman, Rico B. Geron, Agricultural Sector Alliance of the Philippines, Joselito P. Gutierrez, EVP, Head LBP’s Agricultural and Development Lending Sector, Elsie Fe NB Tagupa, SVP, Head, LBP’s Visayas Lending Group, Loel A. Zamora, Head, Negros Oriental Lending Center, Andrew Regalado B. Gomez, Account Officer, LBP’s Negros Oriental Lending Center. Nominees were judged using quantitative and qualitative parameters. The quantitative parameters were based on operations, sustainability, relationship with LANDBANK, and community supports/services, while the qualitative parameters were about performance, history, impact and contribution to the community, and direction of the business. 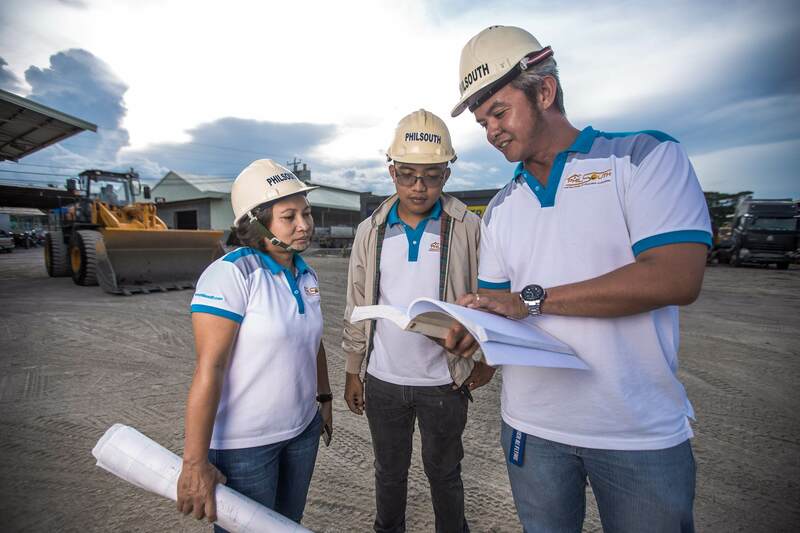 Philsouth Builders was chosen among strong contenders from all over the country due to its profitable and growing financial operations, pioneering and diversified products and services, adapting new technology and strong relations with the bank. The awarding ceremony was attended by no less than the Secretary of Finance and Landbank Chairman, Sec. Carlos P. Dominguez III, Landbank President and CEO Alex V. Buenaventura, Senator Miguel F. Zubiri and other dignitaries including senior officers of the bank.